Diploic veins are veins in the diploic space of the skull — the space between inner and outer tables. They are depicted in all kinds of atlases. However their importance in draining the brain is generally under-appreciated. Just like suboccipital / condylar veins can be as big as a jugular, so can emissary veins carry a ton of flow. They are very variable — some people have very prominent ones, others don’t. But it is important for surgeons to know of them especially when craniotomy is the game. 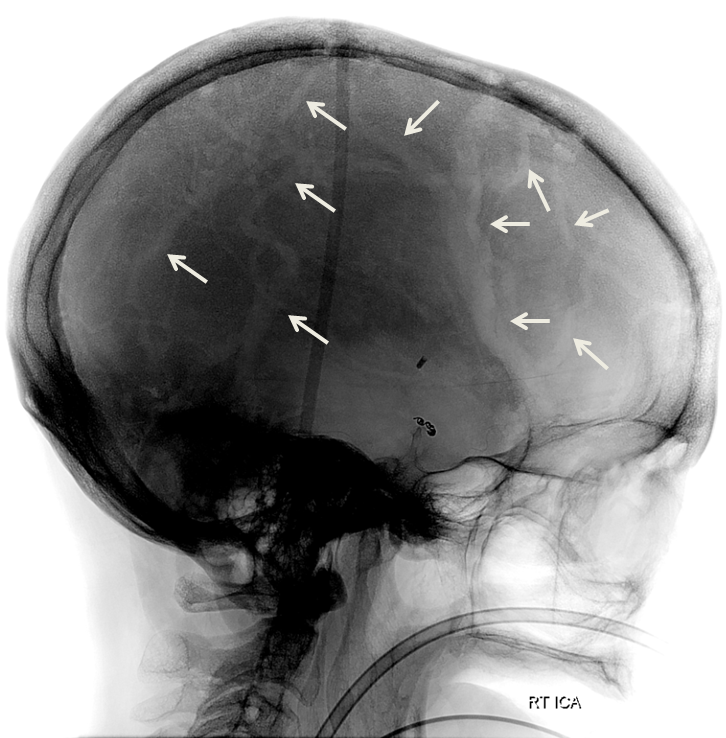 Diploic veins are super easy to see on an xray of the skull –because there is an edge between the vein and skull itself. They look like lucent tracks running from top to bottom of skull, like tracks burrowed in wood by insects. 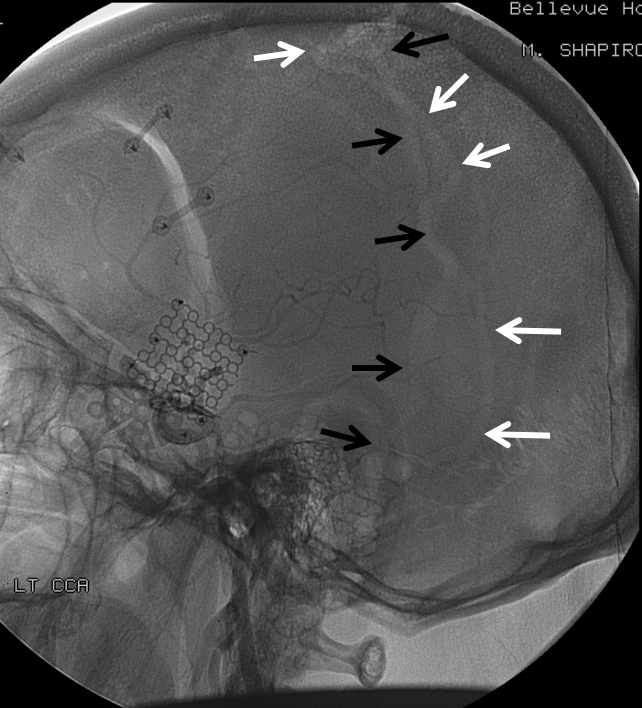 Their location is different from expected suture lines, and they are generally wider than either suture lines or meningeal artery grooves. 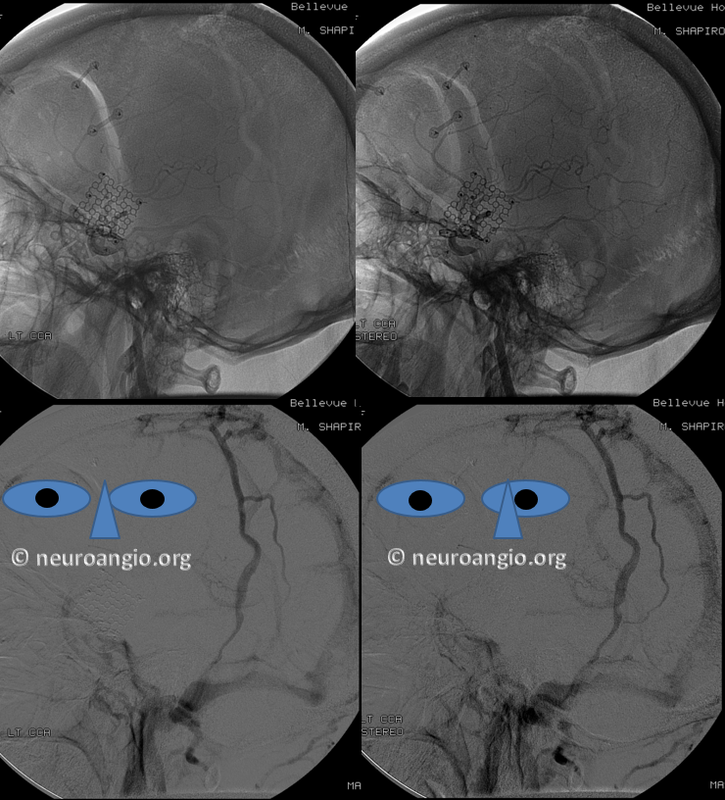 On angiography, they typically opacify later than venous sinuses because of the time it takes for the contrast to traverse via the emissary foramina into and through the diploic space. They are easy to differentiate from soft tissue emissary veins which run on the outside of the skull because these do not produce grooves in the skull. What is the difference between diploic and emissary veins? Diploic ones stay in the skull. Emissary veins are “emissary” — they go through and through the skull to end up in the soft tissues. 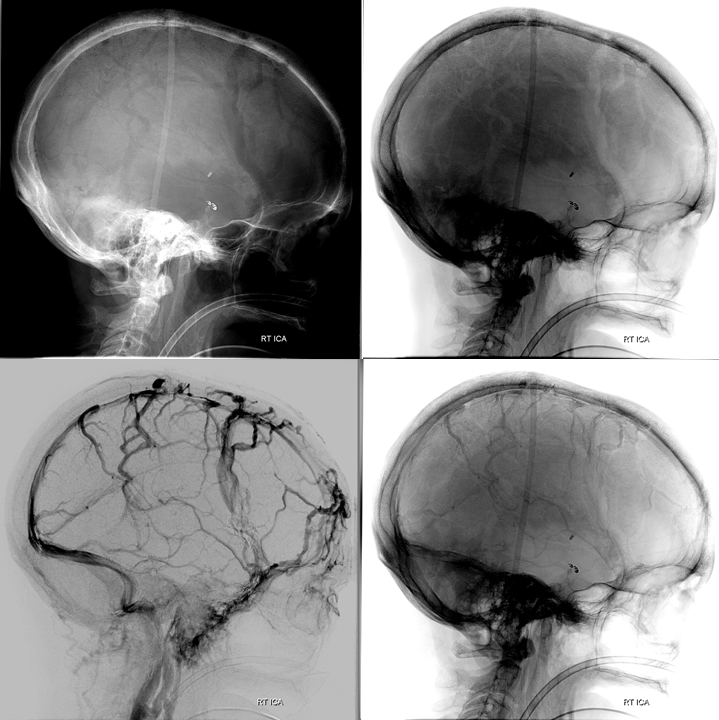 When a diploic vein exits the skull it becomes an emissary vein. 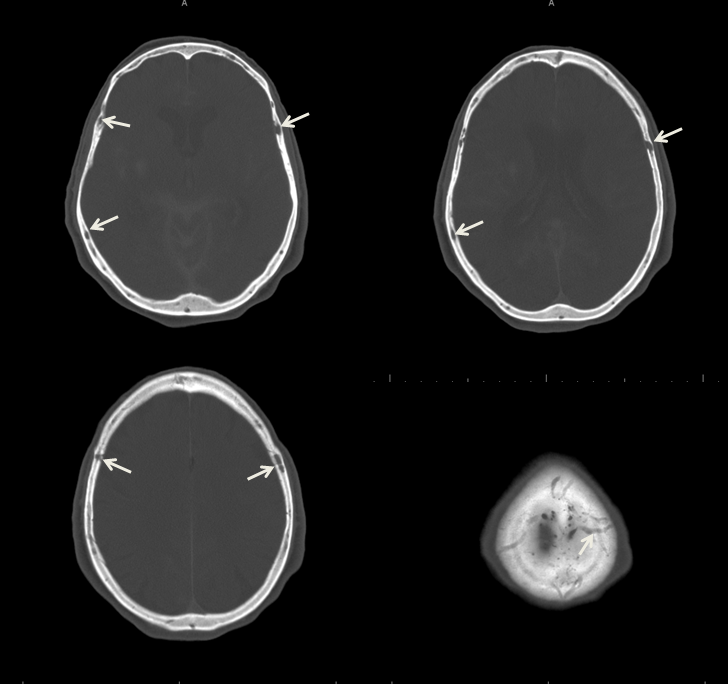 Since we don’t usually look at skull x-rays too often (and ignore all kinds of useful info on them when we do angiograms, as a rule), here is what diploic veins look like on a CT — channels in the diploic space. 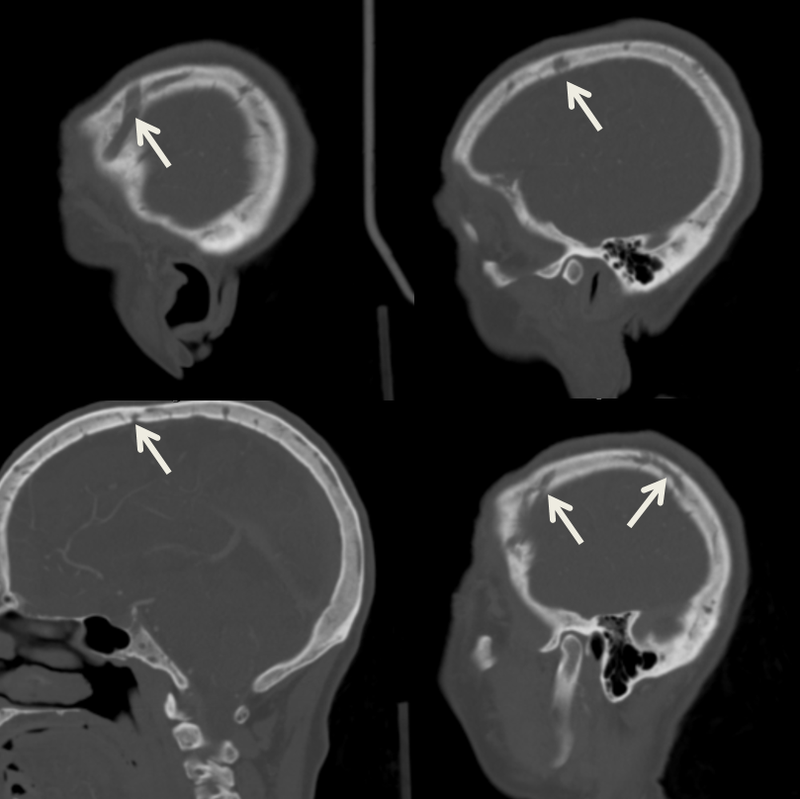 Not as strikign as on skull lateral x-ray, however it is the same patient. Again, these are diploic veins. 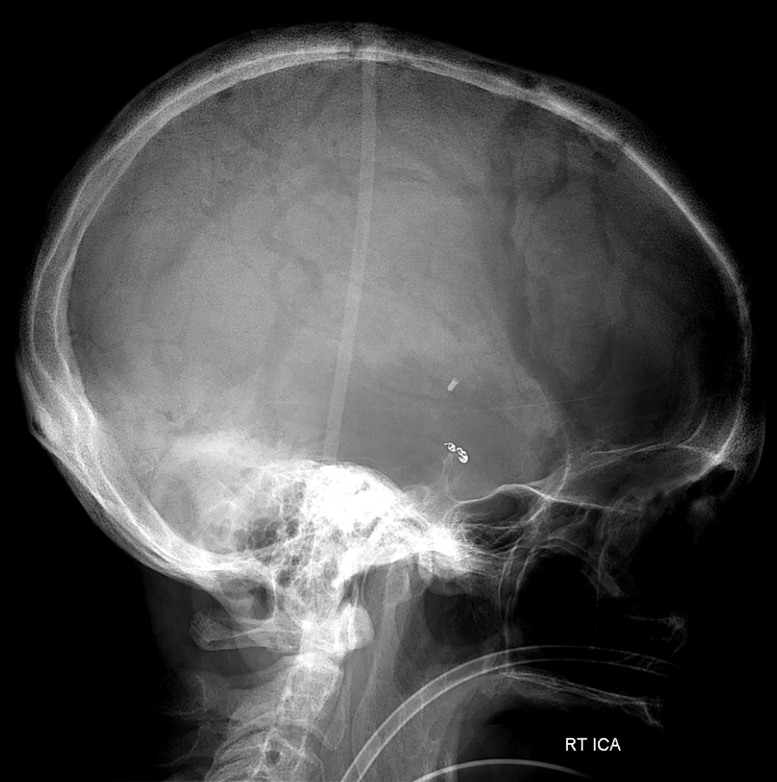 You know they are thinning the skull because of the lucencies they produce (the actual sharp line is due to a bone-tissue interface). 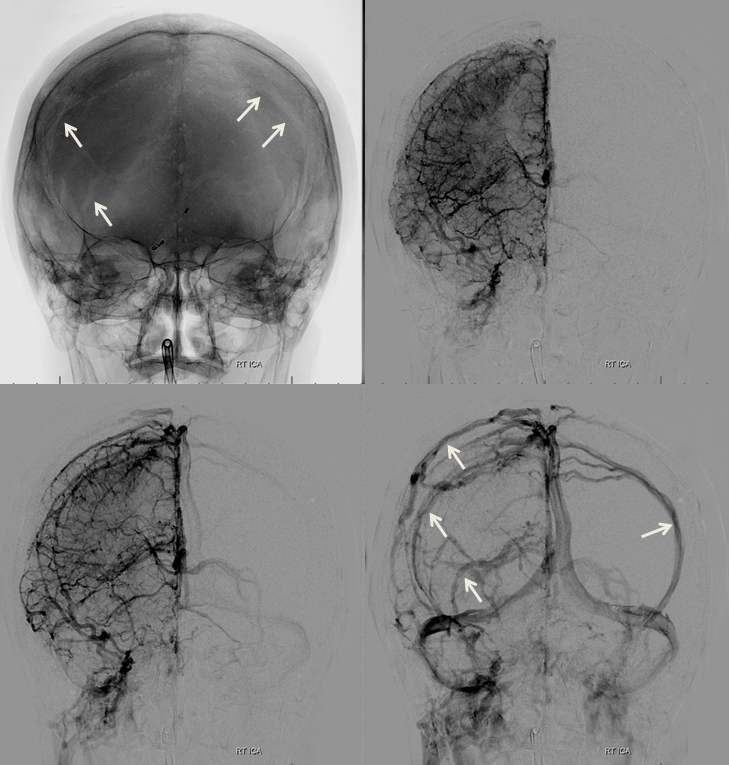 The below digital subtraction angiogram (middle image), in late venous phase, nicely shows the corresponding venous channels filling in the diploic venous spaces seen on the skull radiograph (above and left image). Venous phase unsubtracted view (right image) shows contrast in the vein, for those who still remain in doubt. 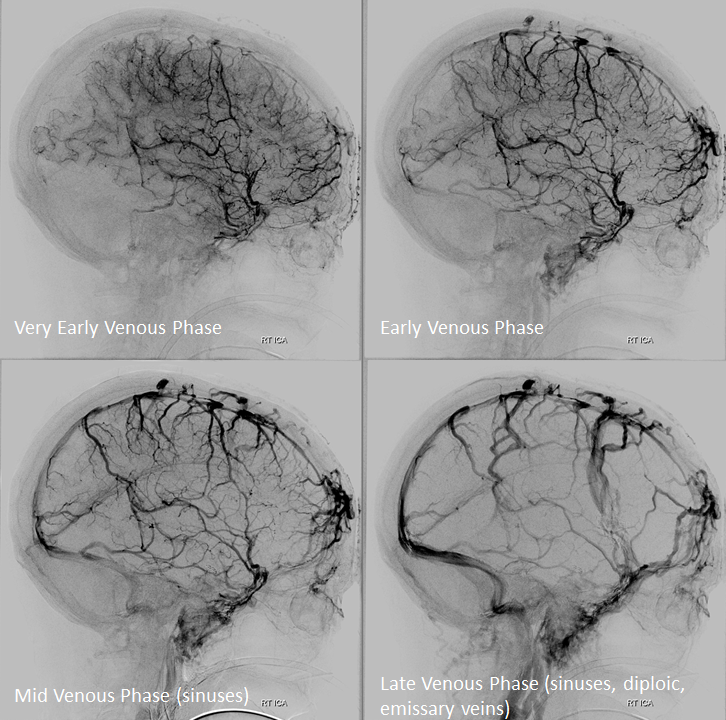 The patient is post clipping of cerebral aneurysm (no relationship to diploic veins…). It is important to extent the acquisition into late venous phase, since these emissary veins are often opacified quite late.